As I continue to develop Armyland (a most complex, challenging, and time-consuming project which will hopefully result in a fairly straightforward, strategic game of moderate length), something I’ve been considering lately is turn order. Many games fall to the easiest default – a sequential, consistent turn order that usually alternates players or goes around the circle clockwise or whatever logical order makes sense. It doesn’t change throughout the game – if you’re the last player, you’re last the whole game. However, there are some variations. Especially in eurogames, turn order can change. The best example of this is Arkham Horror, in which, after all players complete all 5 phases, the “first player” privilege is passed to the next person. Pretty close to straightforward rotation, but it gives each player a chance to make the first move. Some games let you bid for turn order. 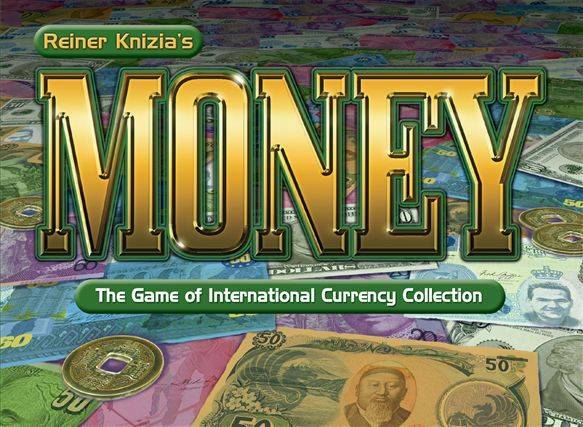 In some cases – such as El Grande – bidding for a higher position early on might force you to take a lower position later in the game, while in others – Money, for instance – bidding to go first merely means sacrificing more points for that round. Furstenfeld (which is missing an accent mark, sorry) automatically rearranges player order based on how many resources you collected in the previous turn. It’s an interesting balancing mechanic, and allows some strategy such as purposefully taking a mediocre turn in order to get first choice on the next. These might be two separate methods but I think the lines kind of blur. For example, Race for the Galaxy allows players simultaneous turns, but in the case of drawing cards from the deck players must choose who gets to draw first (usually first-come first-serve, but hey, that’s a choice too). Last Night On Earth, while alternating between Zombie and Human turns, allows the players within each side to choose who gets to go in what order. Going the straightforward route is certainly simple, logical, and easy to follow – no time spent calculating who goes first. However, I’ve been frustrated before in games by opportunities totally ruined because I was a turn or two too late. In some cases, where the game ends regardless of the position in turn order (such as Dominion which ends when the last card is taken, regardless if the player is first in line or fourth), a win or loss can be determined by that extra turn. The more dynamic methods of determining turn order are certainly interesting, and add an extra level of strategy to a game (especially Scaling and Bidding), but often extend the length of the game and add complexity if only because you have to spend a moment or two figuring out who gets to go and when. Dynamic turn order can be tricky to implement though, in a balanced way. How much sacrifice is required in order to move up in line? What are your thoughts on the different types of turn order? Do you have a favorite type? Is there a game that you think implements turn order especially well? Next Article Friday Question: Is There a Game You Refuse to Play? One game whose turn-order mechanic I love (thematically and because it’s so novel) is Kill Dr. Lucky. Dr. Lucky moves at the end of each turn, and player order is normally sequential. However, if Dr. Lucky enters a room where a player is, it is automatically that player’s turn next. This can be frustrating for new players, but it’s also pretty awesome. To answer the question, I don’t think there’s one turn-order method that I prefer categorically. I love the bidding of El Grande and the scaling element of Power Grid (I haven’t played Furstenfeld), but I also don’t mind the regular turn order of Acquire et al. I think each game should dictate its own turn-order method. You mentioned Furstenfeld. It has a good turn order mechanic that is essentially a transplant from Power Grid. I really like that mechanic (in those games), because it is one of the key strategic factors of the game itself and really adds a lot. Josh, I agree wholeheartedly. Thankfully I was warned about its importance before my first game of Power Grid. I haven’t played Power Grid yet, but I have played Furstenfeld which is why I mentioned that over Power Grid. Also those games were created by the same dude so it all makes sense. 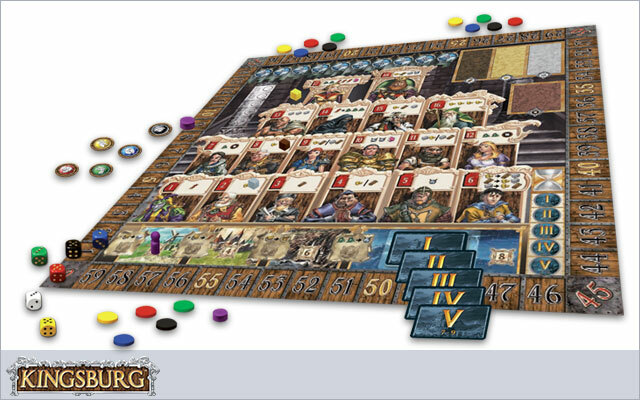 In Kingsburg the player with the lowest roll actually goes first which is a way of balancing out the randomness of the rolls. So instead of the “Random Luck” category I would maybe put it in the scaling category since it acts similar to Power Grid/Furstenfeld by position players in turn order based on how well they’re doing. Also, are we going to get any updates on Armyland soon? I’m very interested to hear what you’ve been up to. Darnit, I was worried that I got it wrong with Kingsburg. I haven’t played it in tooooo long. I am not going to be at GenCon, it’s a pretty big commitment and I didn’t know how my summer was going to look so I opted for just our local game convention (IndyCon) instead. If you have some extra time on your trip I would love to hang out and play some games. If not we’ll have to plan some time to get together and test it out again.